When the development of Forest City commenced, it came under fire by many including the surrounding communities. This is because of the concerns regarding the impact to the environment as well as the negative publicities fed on how livelihoods would be affected. But my recent article has put that to rest. Despite having only 245 registered fishermen in a community of 11,000 Country Garden Pacificview (CGPV) finds it of utmost importance that the fishermen would be able to continue conducting sustainable fishing in the waters off Forest City and its surroundings. Kelab Alami, an NGO concerned with environment conservation, was born out of these concerns in 2008. CGPV works hand-in-hand with Kelab Alami by funding its awareness and research activities. 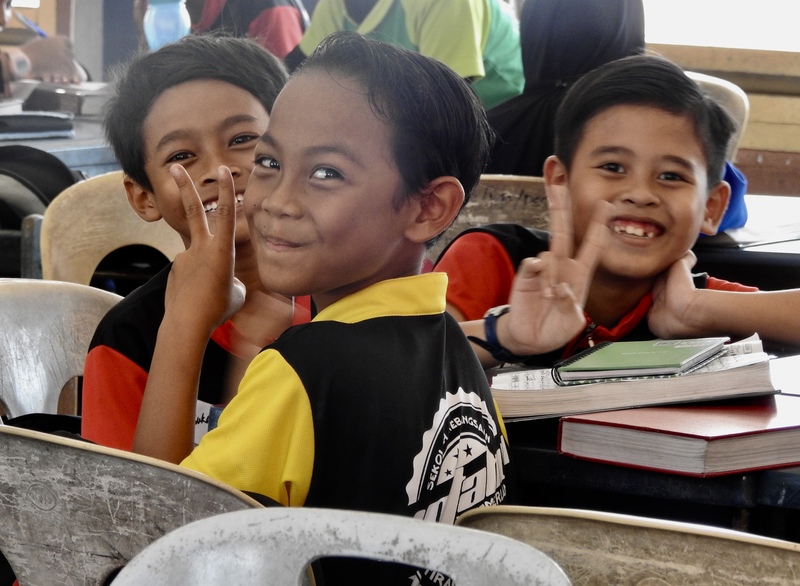 For 2018, Kelab Alami have lined up a series of activities including the spreading of wider awareness pupils in Sekolah Kebangsaan Tanjung Kupang and Sekolah Kebangsaan Tanjung Adang, both in Gelang Patah. Kelab Alami founder Shalan Jum’at, 30, said plans for 2018 also include mussel farming, habitat documentation and monitoring of various marine species found in the surrounding area of Kampung Pendas and the other nearby villages. “With development such as Forest City, which is near to Kg Pendas, it is a boom in eco-tourism. 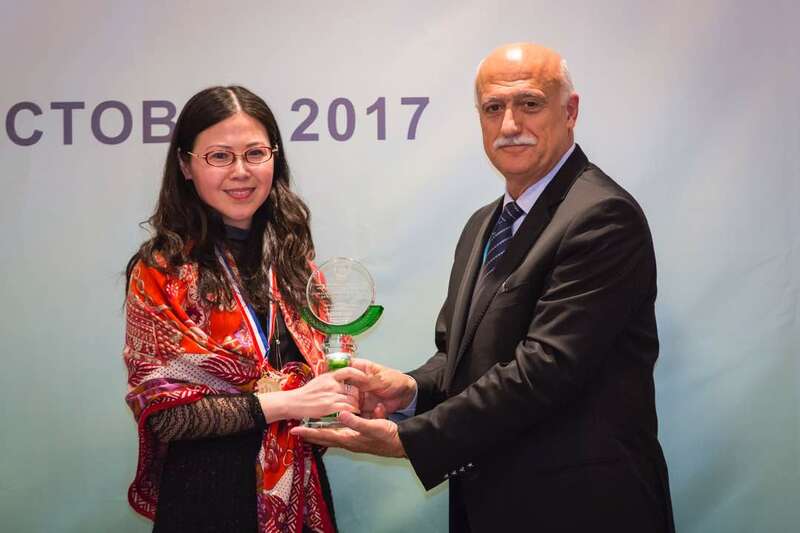 The project have presented challenges as well as the potential of the natural wonders in the sea and rivers that lie just at our doorstep,” said Shalan Jum’at. “Development has changed the face of Tanjung Kupang for the better and spurred the birth of Kelab Alami, which provided opportunities for the local fishermen to diversify their skills as well as given the children a chance to become citizen researchers as well as act as eco-tour guides to tourists and visitors to the villages here,” he said. Muhamad Sofi Juhari, 19, who joined the club when it was first set up, said he would have been a youth without any goal in life if not for the club. “I currently work at a motorcycle repair workshop, which is managed by Anak Alami Enterprise. Shalan showed me the ropes in acquiring entrepreneurial skills. Business is good at the motorcycle repair shop with about 300 customers a day,” Muhamad Sofi said. “Kelab Alami not only helps me to gain self-confidence and knowledge about the natural wonders of the surrounding environment, I also get to hone my entrepreneurial skills and am able to earn an income that I can contribute to my family,” he added. Another club member, Mohammad Irfan Yazid, 19, who joined Kelab Alami when he was 7 years old, has a different passion. He operates a ikan bakar (grilled fish) and burger food stalls near Muhamad Sofi’s workshop. “I can sell about 100 burgers and about 10 grilled fishes per day. With more people coming to work in Forest City, my food business is also improving by the day,” said Mohammad Irfan. “Forest City has also funded Kelab Alami which has organised activities such as youth ranger training and entrepreneurship seed funding as well as fishermen’s seed funding, among others,” he added. Another member Muhd Arif Aiman Fazail, 17, who joined Kelab Alami at age 11, said he has forged friendship with the other neighbourhood children through club activities. “I have learnt to appreciate the different species of snakes, lobsters and other creatures of the sea since becoming a club member. Former club members who have left the village in pursuit of higher education come back to see us whenever they can to share their experiences and knowledge with us,” Muhd Arif said. Meanwhile, Datuk Md Othman Yusof, executive director of CGPV, who visited Kelab Alami in Kampung Pendas Laut recently, applauded the efforts and achievements of Kelab Alami. “Kelab Alami can also organise community workshops which offer skills to make handicrafts or build items such as wooden chairs and tables. We can emulate Thailand by manufacturing souvenirs in a local cottage industry to present as gifts to visitors. This would generate income for the village where the profit can be enjoyed by the local community,” Md Othman said. Md Othman, who was at the clubhouse to hand over a cheque of RM194,450 to the non- governmental organisation, also spent some time to chat with the kids of Kelab Alami. Md Othman, impressed by the knowledge of these youths and confidence exuded by them, was encouraging them to keep up their good work and continue to strive for a brighter future. Meanwhile, 90 students of Sekolah Kebangsaan Kampung Simpang Arang who come from low-income families, were treated to to a ‘Back to School’ shopping spree at Giant Hypermarket in Tampoi, courtesy of CGPV. CGPV corporate communications director Aeron Munajat said the Back to School programme is intended to alleviate their families’ financial burden as they prepare for the new school term. “We do not want the local folk to feel left out due to the development around their village,” she said. Aeron added that it was an eye-opening experience for some volunteers who were employees from China. The programme also allows volunteers to interact with the local community, giving them exposure to the lives of the indigenous people. Chen Hao, 27, who is an assistant legal advisor at Country Garden Pacificview’s legal department, was among the volunteers who overcame the language barrier to communicate with the Orang Asli children. “We did not speak the same language, but the children and I found ways to communicate through body or sign language. The children would point at something they wanted to buy for school, (for instance). It is my first time meeting Orang Asli children, and I find that they are as bright and bubbly as any other child I know,” said Chen, who has been working at Forest City in Johor for the past two years. The treats were not limited to Giant Hypermarket, as the Orang Asli children were also treated to lunch after their shopping excursion. Country Garden Pacificview plans to adopt SK Kampung Simpang Arang next year, making it an addition to the five primary schools it has adopted since 2015. The five primary schools are SK Morni Pok, SK Tanjung Adang, SK Tiram Duku, SK Tanjung Kupang and SK Pendas Laut. Besides youth development and education, Forest City focuses on two other pillars, namely societal development and environmental awareness. The development of Forest City, one of Johor’s iconic development on the western half of the southern coast of the state, is proceeding well and is on time. When completed, the southern-most man-made island of the project will be just two kilometers away from Singapore’s Tuas. A little over two years ago, the project area was under three meters deep of sea water. Now, a hotel stands completed as do a commercial block as well as an office block, with a beach fronting Tuas. Aptly named “Hotel Phoenix”, the 280-room four-star hotel has already begun to receive guests, and is now one of the favourite venues in southern Johor for international conferences and events. Even Jack Ma’s Alibaba had an event here in late September 2017. 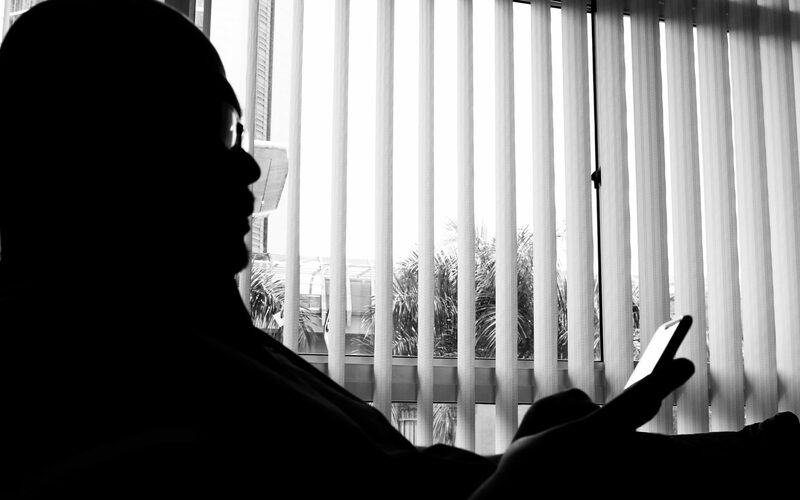 This 20-year development is already into its second year, but has been the subject of several controversies, depending on which side of the fence you are viewing the issue from. 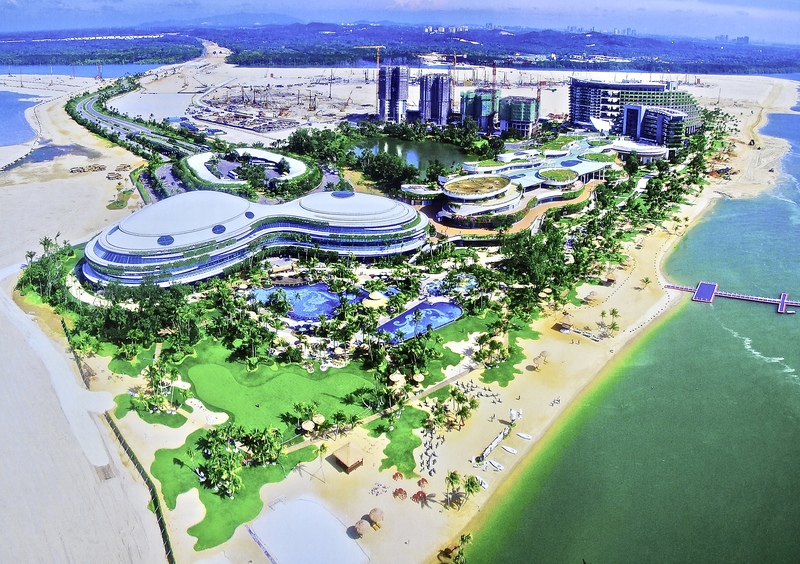 One of the issues raised by the Opposition is the prospect of 700,000 mainland Chinese obtaining Malaysian citizenship after staying at Forest City for several years. Opposition fear-mongers have been selling this idea to the worried locals who fear that their voice would be drowned by these prospective new citizens. I threw this idea to an English friend of mine who is married to a Malay woman and have four children, to see if the fear is real. But will there actually be 700,000 Chinese from China residing at Forest City? Apparently not. Buyers include people from the Middle East, Thailand, India and Singapore. Forest City was already attracting these buyers even before China tightened the outflow of its currency. Buyers from China have snapped up 70 percent of the early-sale properties there before the measure by China came into effect. “The number of withdrawals caused by the cashflow controls is about 60, compared with the 15,000-unit sales by the end of 2016, the bulk of which were sold to Chinese buyers. We have to look at the issue in perspective. 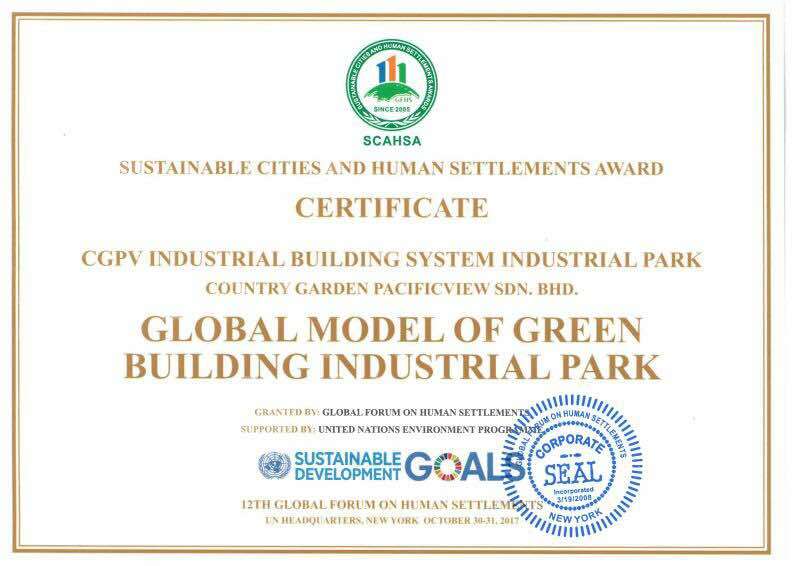 If we are not confident about Forest City, we will not be investing some RM470 million to build a factory to manufacture ready-to-assemble concrete structures like staircases, beams and columns,” said Dr Yu Runze, President and Chief Strategy Officer of Country Garden Pacific View Sdn Bhd., the developer of the project. As a state, Johor has jurisdiction of its land including the foreshore according to the National Land Code, 1965 and its territorial sea jutting out 3 nautical miles according to Section 3(3) of the Territorial Sea Act, 2012. While Section 76 of the National Land Code includes a proviso that does not allow the foreshore and part of the sea bed to be disposed by the state authority for a period exceeding ninety-nine years, Forest City’s reclamation starts beyond the low-water mark of ordinary spring tides. Unlike the reclamations off Pulau Pinang, a bridge connects the man-made island to the mainland rendering it possible for the Johor state government to allow the developer to obtain a freehold status for the reclaimed portion, anything within the three-nautical mile limit. Therefore, no part of the mainland was ever carved to become part of Forest City, nor was there a major displacement of people to make way for the apartment buildings and hotels of the development. A freehold land does not mean that it belongs to another country. As mentioned, anything that is within 3 nautical miles including the seabed comes under the state authority while from that point up until 12 nautical miles comes under the Federal authority. The state has the power to acquire the land under the Land Acquisition Act, 1960. hence the sovereignty of the nation is not compromised in any manner. The project is being developed by Country Garden Pacific View Sdn Bhd (CGPV), a Johor-China joint-venture company where the China partner has 60 percent equity in the JV, while the Malaysian partners hold 40. CGPV executive director Datuk Md Othman Yusof said that as at end of September 2017, 859 out of 1397, or 61.4 percent of its workers are Malaysians. This includes the staff at the CGPV Industrial Building System plant in Tanjung Kupang. Dr Yu added that of its RM4.7 billion (S$1.5 billion) capital expenditure (capex) spent between early 2015 and December 2016, about RM2 billion, or 42.55 per cent, was spent on the services provided by local consultancy firms and construction materials. “Cement, sand and other materials were bought locally. We did not import them from China. We also use consultancies such as law firms, planners and architects, to name some. 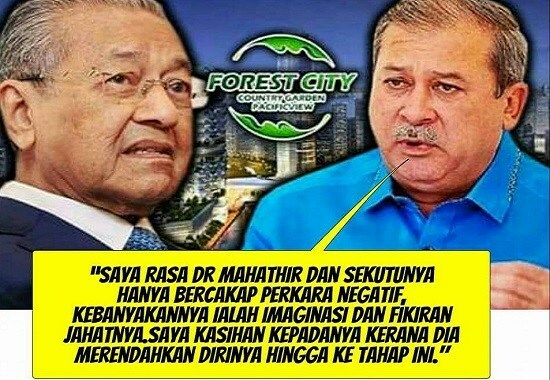 So, it is untrue to say that Forest City has not benefited Malaysia or its people,” he remarked. Forest City Is The Cause Of Pollution? To blame the pollution of the Tebrau Strait solely on Forest City alone is not fair. There was already pollution in that area because of the Port of Tanjung Pelepas (PTP), and 60-odd projects taking place along the Sungai Danga and Sungai Pulai which too affect the Tebrau Strait. According to Dr Serina Rahman of Kelab Alami, an environmental NGO based in Tanjung Kupang, intially the reclamation works for the Forest City project was worrisome as the waters off Tanjung Kupang is rich with marine life including sea grass. “The sea grass has spread to the left of the development where there is more water movement. The seahorses are still there, the dugongs are still there, it’s just that they don’t come near the sand barges as they are noisy. There are other patches of sea grass closer to the port (PTP) so the dugongs are there,” she said in an interview. According to Dr Yu, Forest City was planned as a single 20-square kilometer island. “However, after doing the Environmental Impact Assessment we found that there is a huge patch of sea grass in the middle of where the island should be and decided to preserve it. So, we made Forest City into a four-island development instead – just for the sea grass,” he explained. I was happy to be shown photos of marine life off the Forest City project that include the Hippocampus kuda seahorses and the Jorunna funebris nudibranch. ‘Prosper Thy Neighbour’ is something that the management at CGPV holds on to. To increase the chances of employability, Forest City has embarked on several initiatives including providing free Mandarin and English language classes for the fishermen of Tanjung Kupang. According to Shalan Jum’at, co-founder of Kelab Alami, Forest City has given funds to assist the local fishing community to buy nets and tools to repair them, and have set up a net-service centre at the Kelab Alami clubhouse. The fishermen would gather there to learn English and Mandarin from tutors provided by Forest City. This prepares the fishermen for the possibility of providing eco-tourism services for foreign tourists and future residents of Forest City. Five local schools have also been adopted by Forest City where the children are being given Mandarin language classes financed by Forest City. 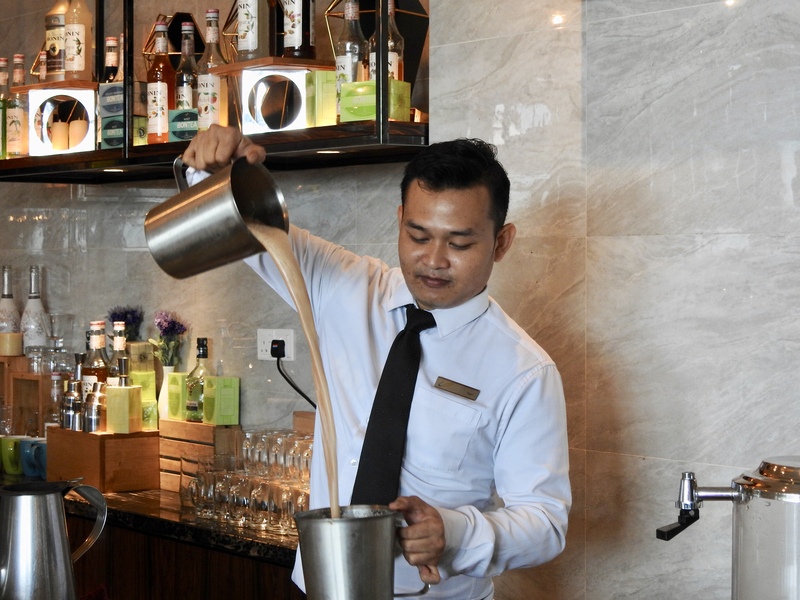 Schools such as SK Tiram Duku in Tanjung Kupang are being prepared as future employees and service providers for the foreigners residing at Forest City. “We would like to be inclusive and ask the Orang Asli in the surrounding areas to provide guides for eco-tourists but it is so difficult to change their mindset.” explained Dr Yu when asked about the involvement of the local Orang Asli at Forest City. This was confirmed by Encik Noore bin Kasi, the Tok Batin or village headman of Kampung Orang Asli Simpang Arang. He stressed that the situation is made worse by the presence of outsiders, in particular NGOs that are anti-government that have been coming in and out of the village to spread negative views about the project and the government to the Orang Asli community. He is afraid that the opportunity to benefit from the project will get lesser as time go by, and if the Orang Asli are being bombarded with lies continuously, they will lose out. How would Forest City help the locals? According to Datuk Md Othman, Forest City is aimed at foreign buyers, not Malaysians. 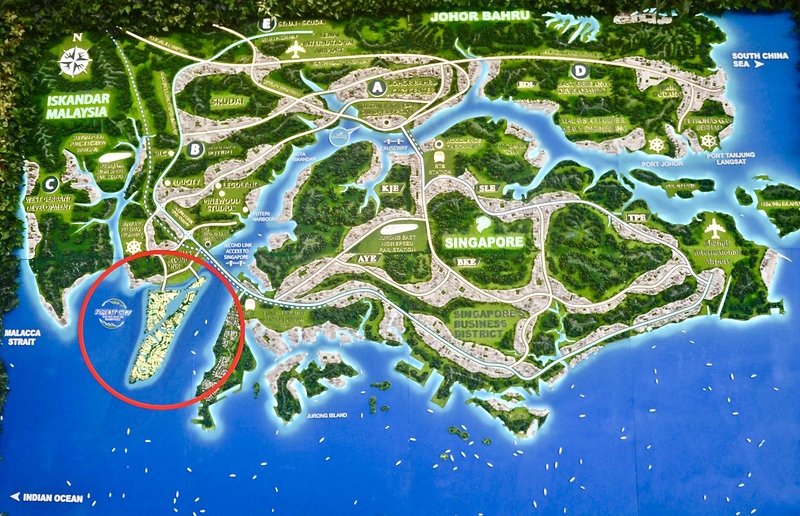 This is to ensure that foreigners take up only what is being sold at Forest City, leaving the development on mainland Johor up for grabs by the locals. Whether or not there is cashflow controls imposed by China, the rich Chinese who already have investments worldwide would still come to Forest City to buy properties. With more sales offices being opened in the Middle East and in Indonesia, Forest City will definitely achieve its target. Dr Yu said, unlike Langkawi, Tioman or nearby Stulang, the island was not duty-free, but has a portion that is designated as a duty-free area. Within this duty-free area is a township, so that its population will be able to enjoy a lower cost of living because the retail goods and consumables will cost a lot less. “Many things in Forest City will be “unprecedented”, so in that sense, the project will be exciting,” Yu said. And for as long as Forest City exists, it will surely continue give good life to the people of southern Johor.